Ever wondered why some people seem to breeze through life while others struggle? 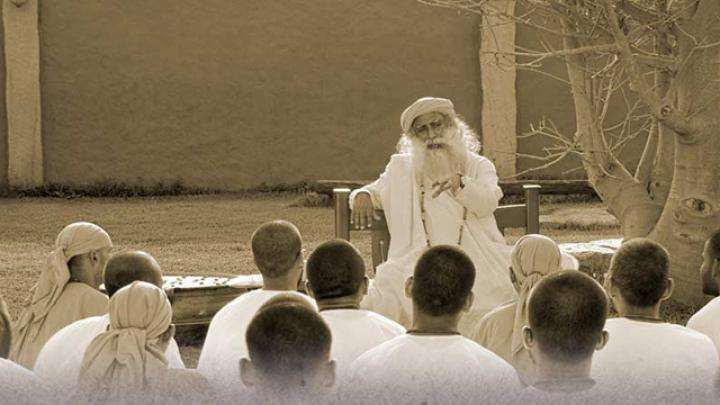 Sadhguru tells us about akashik intelligence, and gives us a process to bring this larger intelligence into our lives. Sadhguru: Modern science is beginning to recognize that there is something called akashik intelligence. That is, empty space has a certain intelligence. How this akashik intelligence behaves with you – whether this intelligence works for you or against you – will determine the nature of your life. Whether you are a blessed being or one who is going to be knocked around for the rest of your life simply depends on your ability – either consciously or unconsciously – to be able to get the cooperation of this larger intelligence which is functioning. After sunrise, before the sun crosses an angle of thirty degrees, look up at the sky once and bow down to akash for holding you in place today. It is improper to call akash or space, the fifth element because it is the element. All the other four – earth, water, fire and air – just play upon it; the fundamental element is akash. It is in the lap of this boundless space that these four elements play the game. We are sitting here on a round, spinning planet in the solar system. It is all held in place only by akash. You are sitting in your place not because of yourself, you are sitting in your place only because akash is holding you in place. It is akash which is holding this earth, this solar system, this galaxy and the whole cosmos in place – and no strings attached, just see! Just held like that. If you know how to get the cooperation of akash into your life, this will be a blessed life. One simple process you can do for this is, after sunrise, before the sun crosses an angle of thirty degrees, look up at the sky once and bow down to akash for holding you in place today. After the sun crosses thirty degrees, sometime during the day – anytime – look up and bow down again. After the sun sets, once again look up and bow down, not to some god up there, just to the empty space for holding you in place for today. Just do this. Life will change dramatically. If you get cooperation from akash, life will happen in magical ways. 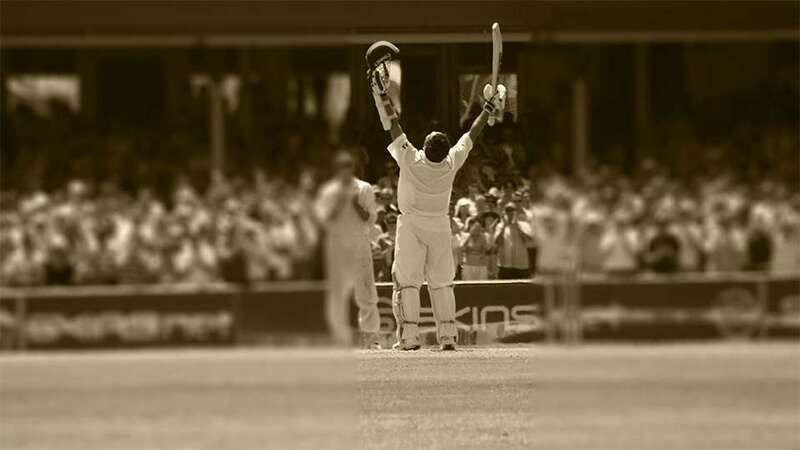 Have you noticed, even Tendulkar looks up? It is not just him, right from ancient times, when man achieved something in great moments of success, he looks up because unknowingly there is a realization. Some of them may be looking up for the uperwaala but mostly, when you hit a peak experience, have you noticed, even without your awareness, your body looks up in gratitude? Somewhere there is recognition; there is an intelligence here which recognizes that. Do this process consciously three times a day. If you get cooperation from akash, life will happen in magical ways. An intelligence that you have never thought possible will become yours. Editor's Note: This article was published in the New Indian Express on 17 November 2013. Does "looking up" mean right at the top of our heads or looking at the sky irrespective of the angle? If we are under a ceiling, is it the same? Thanks a lot! Yeah! Unknowingly I am doing when I am going on my bike. Just I feel refresh and feel every thing will be fine today. But today onwards I practice consciously. Thank you sadguruji! This is a very vital post.. Thank you Sadhguru. Really I agree. Daily while going to office it has been my practice to see the sun and alittle prayer within myself. Sometimes I used to think it is superstition But now after Sathguru's note I will do this thrice a day. Thank you Sathguru for coming into our lives and showing the way. I have believed for many years that the space between things, that holds us all together and where all knowledge lives, is love- Akash is love. I bow to love, I bow to Akash. 9 holds such a key to so many mysteries.Tesla also speaks of the magic of the number 3,6 and 9. Well that will obviously depend on your location, the season etc, but if you're in India, before 8AM would be a safe bet, Summer or Winter, North or South India. Last paragraph 2nd line; "If you get cooperation from akash, ...". It starts with "if". If you do the process, it should work. Why if again? Is there a possibility that after doing the process you may not get cooperation from Akash? If yes, why? How? Namaskaram, it z really wel said true. Am doing thz for past one year &amp; for sure many thngs happnd in my life effortlessly &amp; if i look back &amp; see thm thy look lik mere grtvthngs happnd as life passby. I came to thz frm Tamil Isha book named "Aasaipadu Adanthidu" whch we gt whn we did shambavi class wit Sadhguru in march 2011 in chennai wit 14000 participants. So blessed. Pranams. i should really give this a try. This is a new way of seeing things in perspective and experience a life of bliss. Thank you. All I can say is Thank you, so very much to the Master of Love, Sadhguru. What is the significance of 30 degrees? What is the Significance of Shaving One’s Head? Sadhguru speaks about the various ways in which shaving the head or leaving the hair untouched comes into play on the spiritual path. Sadhguru looks at why sinuses should be clear and well-balanced, and how we can go about achieving this state.